Fall/Winter is a fun time of the year for baking and cooking. There are so many different, good recipes using some of my favorite ingredients – including apples, cinnamon, pumpkin, and cranberries. 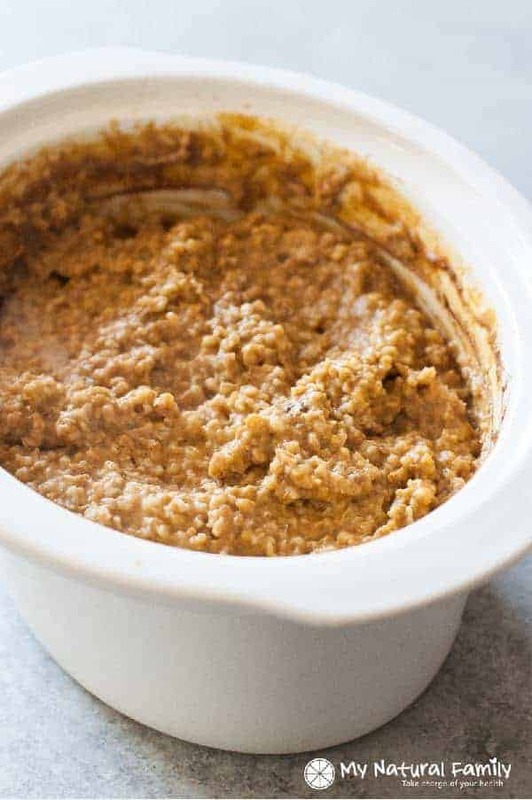 Today we have a pumpkin spice Steel Cut Oats Crock Pot Recipe for you. Pumpkin has been a huge trend the last year or two and I can see why – because it has a great flavor! 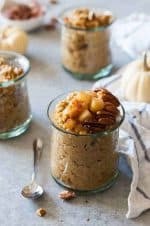 Today I want to share our pumpkin spice Clean Eating Steel Cut Oats Crock Pot Recipe. These oats are like pumpkin pie in breakfast form. What can be better than that? Not only is this recipe Clean Eating, but you can have it cook overnight in the slow cooker. You will wake up to a nice-smelling home with food waiting for you to eat with little to no preparation. This is one of my favorite Clean Eating breakfast recipes – and I like to make it all year-round because it’s filling and easy and Boy, oh, boy! Does the kitchen smell good when you wake up to this! But if you’re one of those types of people who mostly eat pumpkin in the fall, you may like these other ideas I have for Clean Eating pumpkin recipes. As long as you use gluten-free steel cut oats, this recipe is also gluten-free. Have you tried steel cut oats before? I used to think I liked regular oatmeal – that is, until I tried steel cut oats. There is no going back. I’m telling you. They are so chewy. I love the texture! I am personally not a morning person at all and so anything I can do to make the mornings a little smoother is much appreciated. In fact, I am thinking this could be really good to make for Christmas breakfast. I might just have to do that this year! Do you have any traditions for Christmas morning breakfast? What does your family do? Do you go out to eat or make the same thing every year? What time do you have breakfast? I remember having to wait till 8 am before we ate breakfast on Christmas morning and we couldn’t open gifts until after that! We would wake up some time in the middle of the night but we had to just hang out in one of our bedrooms for hours waiting until we could come out. Now, that’s torture! I would love to hear how you do things Christmas morning. I would love ideas so I can start some traditions of my own. This oatmeal recipe is easy to throw together before you go to bed and you will love to wake up to the smell of pumpkin and spices. Grease the inside of a crockpot with the softened butter. Add remaining ingredients to the crockpot and whisk together until well combined. Serve with toppings such as chopped pecans, cooked spiced apples, chia seeds, flax seeds, butter, etc. 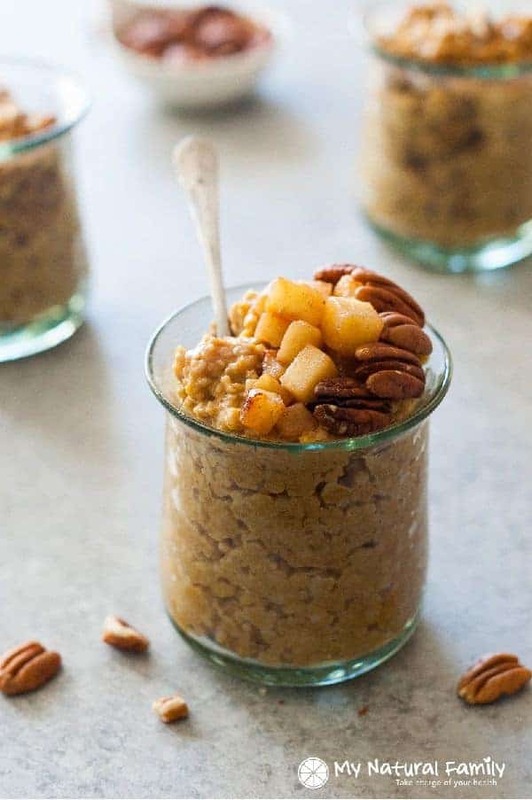 What do you think about this steel cut oats crock pot recipe? Previous Post: « 9 Best Clean Eating Granola Recipes for an Easy Make-Ahead Breakfast! This is a really good idea, I’m going to try this recipe! Thanks for developing it.